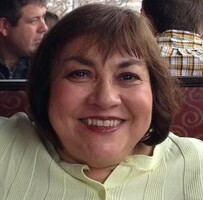 Provide comfort for the family of Evangelia Krasinski with a meaningful gesture of sympathy. Evangelia “Lily” Krasinski, age 68, of Milford passed away in her home on Friday, March 22, 2019. She was born on March 25, 1950 in Cyprus to the late Kyriakos and Chloe Philippou Lakatamidis. A devoted homemaker, she dedicated her life to husband, son and grandchildren. Lily is survived by her son Charles Krasinski and his wife Kelli of Trumbull, and grandchildren Grace and Charlie and brother Jim Philippou and wife Phyllis of Mannhasset, New York and several nieces and nephews. In addition to her parents, she is predeceased by her husband Robert Krasinski. 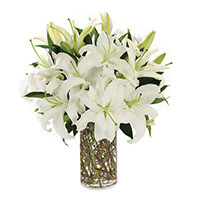 To send flowers in memory of Evangelia (Lily) Krasinski, please visit our Heartfelt Sympathies Store. We encourage you to share your most beloved memories of Evangelia here, so that the family and other loved ones can always see it. You can upload cherished photographs, or share your favorite stories, and can even comment on those shared by others. 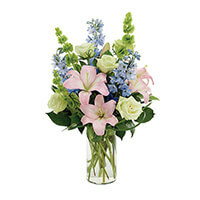 Doug and Marie Pierce, Origins, and others have sent flowers to the family of Evangelia (Lily) Krasinski. Doug and Marie Pierce purchased the Tribute Mixed Vase Arrangement - All White for the family of Evangelia Krasinski. Origins purchased the A DAY AT THE BEACH for the family of Evangelia Krasinski. The Fleming family send their deepest sympathies to Chuck, Kelli, Grace and Charlie. 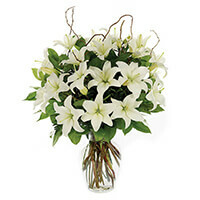 Chris Fleming purchased the SIMPLY LILY-WHITE for the family of Evangelia Krasinski. 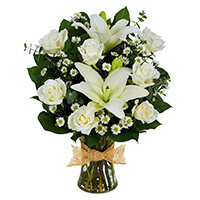 Joe, Madeline, Laura and Anthony purchased the LOVING LILIES-WHITE for the family of Evangelia Krasinski. We appreciate the warmth with which Lily welcomed us into the community. 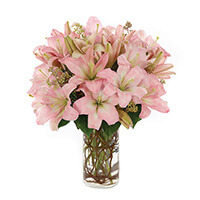 New Friends purchased the SIMPLY LILY-PINK for the family of Evangelia Krasinski.